A local wedding planner announces the launch of her new online lifestyle publication for brides-to-be, and a healthy living blog as well. Keep reading for all the details. 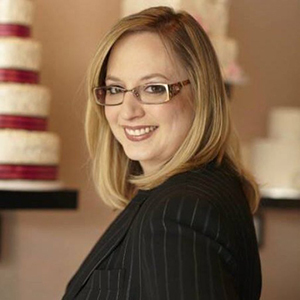 Kathy Piech-Lukas, owner of Your Dream Day, has been planning events for more than 20 years and specifically focusing on weddings for the past 12. So, it’s safe to say she knows how to plan a great wedding, and has connections with the right people to make it all happen. That something special, in addition to being honest and genuine with her clients, is what Piech-Lukas says makes her different. Over the years, Your Dream Day has earned several accolades, including The Knot’s “Best of Weddings” four times, Bride’s Choice, and recognition from Cincinnati Wedding Magazine. In fact, making a positive impact is what inspired Piech-Lukas to launch a new online lifestyle publication for brides-to-be. Going live this week, YourDreamDay.com will now feature a variety of wedding-related lifestyle topics, vendor interviews, and behind-the-scenes spotlights on local weddings. Visit www.PeachyKeenLife.com and www.yourdreamday.com to learn more. Events and Editorial Intern - Kylie Souder is an Events and Editorial Intern at Cincy Chic. To contact Kylie, send her an email at ksouder@cincychic.com.